Daryl Johnson (Worcester Park, United Kingdom) on 7 January 2009 in Landscape & Rural and Portfolio. 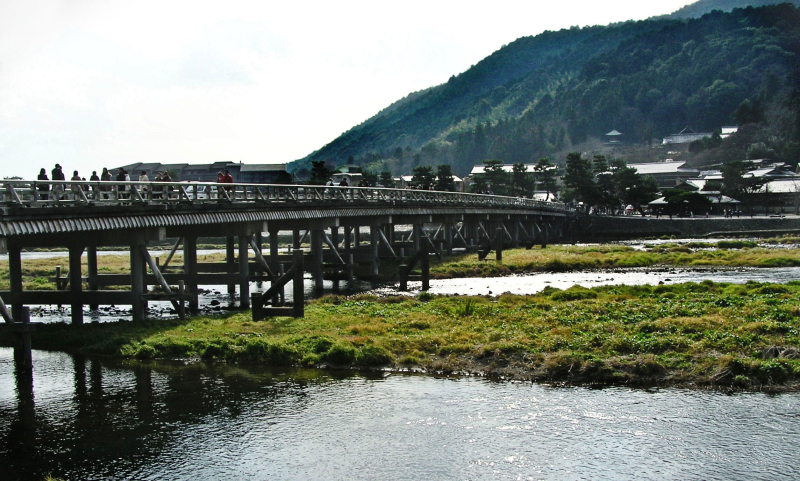 Togetsukyo is a famous bridge, one of the landmarks of Arashiyama, Kyoto. Nice photo of this famous bridge! I like this framing. Un pont entre nous et nous, un lien très symbolique ! a very unique structure well captured! nice long bridge, i can see why it is famous. Great view of the bridge. You can see how popular it is with all those people on it. @Laurie: Yes indeed! Cheers Laurie. A well composed image of this bridge. It looks like a long one. @Steve Rice: It's fairly long Steve. Cheers! @EYES WIDE SHUT: Thank you EWS! A very special landscape, captured in a fine composition. Just seeing this is great, and it looks like the daily commute to town....? Neat shot Daryl. @Observing: Cheers Mike! Actually it is a fairly regular thoroughfare! I like the sweep of the bridge across the frame, good shot. Wonderful perspective shot. I like the structure! Ah, yes, I can see at a glance why it is so popular . . what a beautiful crossing this is. A classic image, very well done, as though Hiroshige had had a digital camera.